Most of us are feeling the pinch and who wouldn’t like a little cash boost to make ends meet or pay for a little treat? There are plenty of ways to do it and sometimes all it takes is the decision to get ourselves better off. If we need motivation, we just need to think of the days we go without because the money’s dried up, the debts building up or the things we wish we had the budget for. 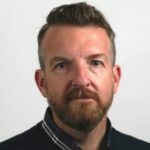 Bringing in the extra comes down to three questions: What can I sell? What can I do? What am I entitled to? Don’t have a Rembrandt in the attic or an antique sideboard in the living room? No worries. What we think is old junk is often a little treasure to other people. There are people out there to buy old phones, CDs and DVDs – any stuff with might think of as clutter and junk. There are even some saucy options but not for the faint-hearted. The Big Issue, the magazine that used to only be sold by homeless people, is now open to long-term unemployed people and social tenants struggling to make ends meet. For others, growing, making things or hosting parties as a product rep can bring in the bucks. Got a spare room or parking space? What about renting them out? For the right people with the right gear, selling stuff can boost the bank balance. Get the full low-down here. In many ways our most precious asset is our time. Our opinions are worth money. Bloggers and reviewers make a living this way but market research companies will pay us too. Serial competition entrants play a numbers game and often come up on top too. Like animals? What about dog walking? Love kids? What about babysitting? Art classes need life models, festivals need stewards and nightclubs need door staff. Production companies are often looking for extras to stand in the background on film sets saying ‘rhubarb rhubarb’, so for those of us who like to dress up, that could be the one. We may need to provide references, at least, or sometimes a criminal record check (DBS check), though. For anyone able to work, a shift at a local pub or café, or a few hours overtime if we’re working already, could make all the difference to our bank balance. For more on how to turn our time into ready cash, click here. Grants and other help are available to many on lower incomes, especially pensioners. Local trusts, energy companies and local councils can help. Billions go unclaimed, so if you’re on a low income and need it, claim it. It’s not just benefits where we’ve forgotten to claim what’s ours. According to The Sun, there are millions in forgotten savings accounts, Premium Bond and Lottery wins, pension payments from old jobs and Child Trust Funds. It’s time to get a grip. For more on getting all we’re entitled to, click here. Everyone in the UK should be paying tax on anything they make over £11,850 and the government expects us all to declare our incomes. This can be tricky but we should at least understand how it works. Same goes for declaring earnings while on benefits, although UC promises to make it easier to keep more of what we earn. It’s a system still in development though and some of the losers are currently those trying to go self-employed. If we’re renting and making money working from home, or making money out of our home (renting out a room or parking space), it’s important to check the tenancy agreement. Councils and housing associations, if renting from them, may be able to offer advice on this too. For more info on what to consider and where to find help, click here. Sign up to a money email service to hear the latest tips and trends on who is buying what. 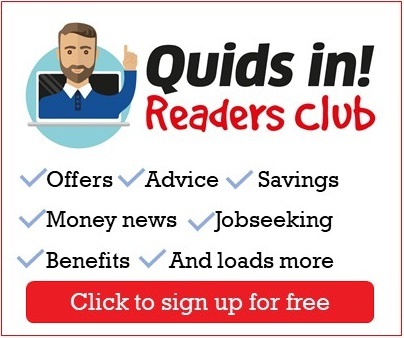 The Quids In Readers Club sends out tips each month (join free here) or there are others like SkintDad or Martin Lewis’ MoneySavingExpert. Next What Can I Sell?